When you look at Traxxas’ product catalog, there doesn’t seem to be any real gaps in coverage, and that impression is correct; Traxxas doesn’t have any major vehicle types or genres they aren’t producing vehicles in. Sure, they don’t have an 8th scale buggy, and they don’t offer a rock racer or solid-axle monster truck, but those are small niche products that Traxxas usually doesn’t indulge in (the Funny Car notwithstanding). In fact, one would be hard pressed to think of a place Traxxas could pivot to… until one looks at their anemic R/C boat options. 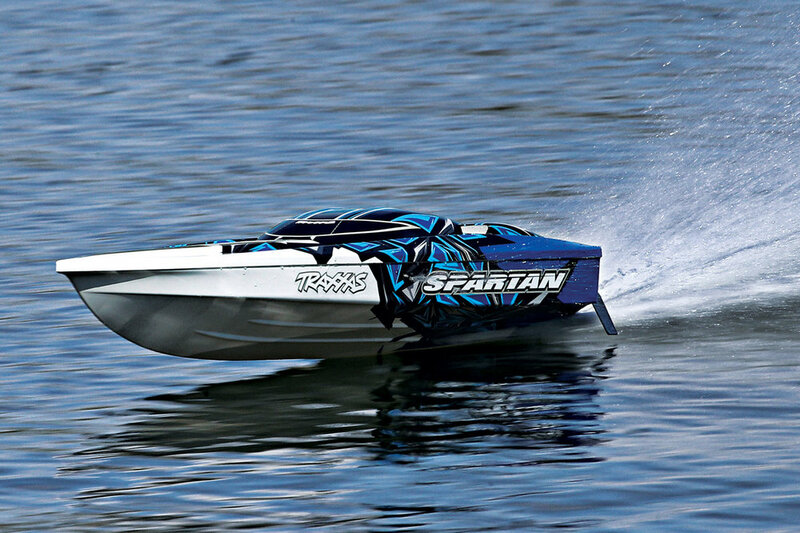 Traxxas’ Spartan is one of only three boats Traxxas makes. Traxxas has the small Blast, a brushed-motor-powered 24” speed boat, then they jump up to the Spartan, a 36” brushless speed-demon capable of reaching speeds of 50+ MPH, and the similarly-spec’d DCB M41 catamaran. There is nothing in between the beginner-friendly Blast and the hyper-powered Spartan, and that seems like a gap Traxxas could fill — and they need to, because if Traxxas wants to make a play to be an exclusive brand for hobby shops, they need to have a complete product line, and there are plenty of people out there than aren’t interested in the high price points required to break into the Spartan, which totals over $650 once you tack on the batteries and charger required to operate it. A 26” to 29” brushless-powered Deep-V with 2S-3S operation would be a perfect choice to fill that space, offering hobby shops more avenues to push Traxxas batteries and chargers without being obscenely expensive. Similarly, Traxxas currently offers their 4S LiPo batteries and Ez-Peak Live chargers, yet the only vehicle they field capable of using these batteries is the X-Maxx. There is certainly room for a boat larger than the Spartan or M41 that runs on two 4S LiPos. If Horizon Hobby can have success with their larger boats, there’s no reason to think Traxxas can’t either. I don’t have any ideas for what Traxxas should do with their R/C car line (well, maybe a 1/24 scale TRX-4? ), but I think expanding their boat catalog a little more would make them a more attractive ProBoat-alternative for hobby shops and consumers alike. After Hobbico’s bankruptcy and liquidation, there was left standing only one major hobby distributor: Horizon Hobby. Horizon’s minimum order — that is, the minimum amount we have to spend to make an order shippable — is $100, and since Horizon carries many of the items we need for our store, we have no trouble meeting that minimum. However, because Horizon doesn’t carry everything we need, we are forced to deal with other, smaller distributors as well, and this is where we have a problem. Each distributor has their own minimum order threshold, and sometimes it’s difficult to make an order shippable in a timely fashion. Additionally, there’s the issue of shipping costs that increase significantly if we have to order from a multitude of companies. One elegant solution to this issue would be a mega-merger of three unique distributors into a Horizon-sized distributor. Specifically, I’d like to see Stevens International, Walther’s Trains, and Hobby Recreation Products (HRP for short) merge together. Stevens would provide the plastic models and rockets, Walther’s would obviously bring their massive train inventory to the table, and HRP would cover the radio control segment of the market, leaving little gaps in inventory coverage and providing hobby shops with another one-stop-shopping destination. This would both challenge Horizon’s dominant position in the market, and help dealers meet their minimum orders and lower shipping costs. While I’d say generally more independent companies leads to more competition, there’s little-to-no overlap between these three distributors, and bringing them together solves so many problems facing small hobby shops today. Go ahead and file this one under “Never Gonna Happen”, but I’d still like to think it could. It’s no secret 2018 wasn’t a great year for our relationship with Horizon Hobby. As I stated before (many, many, many times), I feel like Horizon is claiming to be the best friend of the small hobby shop while simultaneously enacting policies that, whether by design or not, end up harming small hobby shops. Given the unfortunate news of former Horizon Hobby CEO Joe Ambrose’s passing, there will be new leadership at Horizon in 2019. Here are a few things I’d like to see them do. Yeah, Horizon had a messy 2018, and their messaging around their now-overflowing product line became, well, muddled. It seems like Horizon doesn’t care whether you buy an ARRMA or an ECX vehicle, as long as you buy something. That line of thinking, however, can leave customers confused. Why offer so many lines? Surely it must be more expensive than paring down the selection, right? So I think Horizon should scrap it all. Axial, ECX, ARRMA, Losi, Vaterra, Revolution, Dromida… all of it. 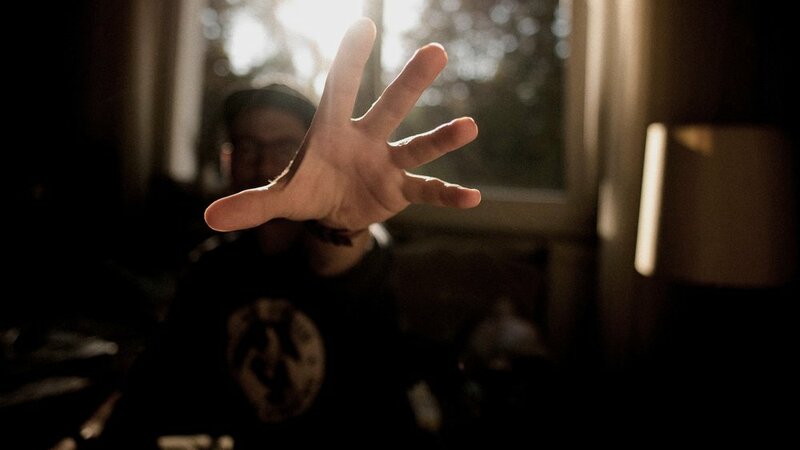 Maybe TLR can stick around, since they are so different than everything else, but nothing else surface stays. Cherry pick the best vehicles out of each line (for instances, keep the SCX10II, the Kraton, the Tenacity line, etc) and rebrand them under a single name: Horizon R/C. Equip everything with your new Spektrum SMART battery system. Price them competitively, but don’t worry about being cheaper than Traxxas, just price them where they need to be for you to start producing a galactic crap-ton of aftermarket accessories and hop-ups. This tactic will certainly have some short term, immediate pain, and likely spark a backlash from each brand’s “loyal” following, but that will die down in a matter of months as they find other things to be upset about. In the long run, though, stores that like the simple messaging and streamlined product offerings of Traxxas might just migrate over to Horizon, especially ones in the Midwest, for whom it takes longer to get Traxxas products than it does Horizon’s. Want some of our Traxxas money flowing back to Horizon? Build me a surface line I can support and that can sustain my business — which would be an improvement over your current business model. I remember when Horizon was super-easy to get along with, and basically if I needed something, my sales reps would do anything they could to make it happen. That has not been my experience with Horizon for more than a year. Most of my conversations with Horizon now (when they happen at all) are in regards to things they can’t or won’t do for us. “Mix-and-Match pricing is disappearing, sorry”. “Oh, that contract pricing you were getting? Yeah, that’s not working for us anymore”. Programs we liked and used, like the Employee Purchase Program? Gone. Generous terms on holiday orders? Nowhere to be found. Horizon used to be the best company to work with in the hobby industry, and it’s well past time it return to its former glory. Let us have the sales rep we get along with. Bring back policies we liked. Focus on us, and not only your bottom line. Treat us like you’d like to be treated if you were on the other side of the situation. All I want is the Horizon of five years ago back — and that shouldn’t be too hard to accomplish. Those are some of the things I’d like to see happen in 2019. Most, if not all, of them are unlikely to come to pass, but that shouldn’t stop us from constantly pondering on how the hobby industry could be improved. We’re always thinking about, and trying, new things we can do to make the hobby experience of our customers the best experience it can possibly be, and big distributors and manufacturers should be — and likely are — doing the same. It’s easy to get complacent, and hard to change, but only through change can we grow and adapt into the industry our customers need us to be. What do you want to see out of 2019? Let us know on our Facebook page! Just look for the post about this article and sound off!